Western Electronics - McAlvain Companies, Inc.
Western Electronics is a 106,000 concrete tilt-up building. It is a unique combination of hi-tech space and professional office space. 80,000 sq ft of the building is dedicated to hi-tech production areas and 26,000 sq ft is beautifully crafted office space. The manufacturing area includes 20,000 sq ft of electrostatic flooring, an employee lounge, and cafeteria and exercise rooms. Upon completion of the project there was a savings that the owners spent on upgrades and finishes. Items added by the owners included offsite utilities for improvement of truck wells, and a hi-tech static floor in production area. 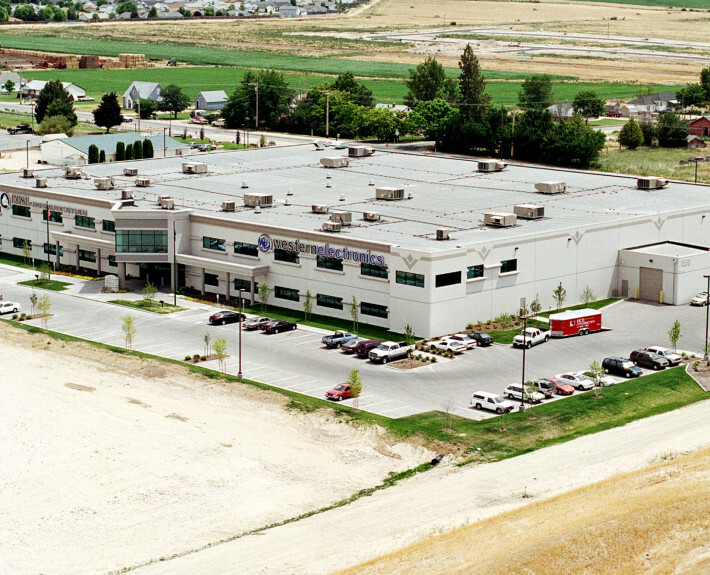 Awarded the Intermountain Contractor Best of 2001, Design/Build Project.